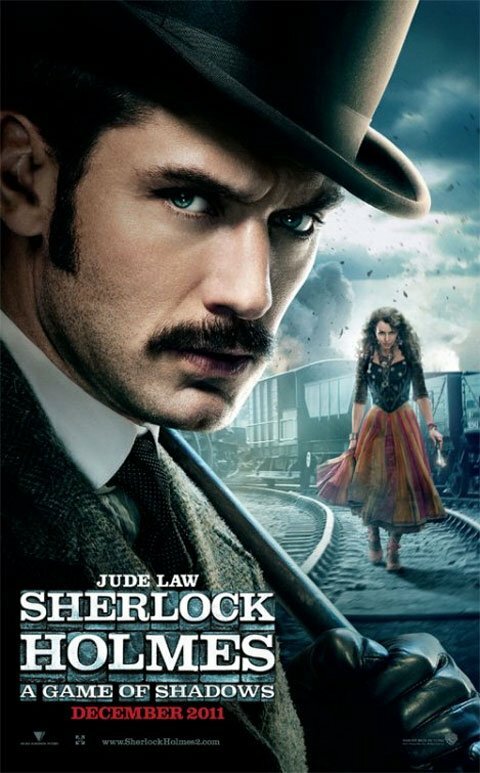 Amidst all the excitement over superheroes and wizards, somehow we all seem to have forgotten that there’s a new Sherlock Holmes movie being released this year. Maybe that’ll change this weekend, since the movie’s first trailer is slated to be attached to Harry Potter and the Deathly Hallows Part 2… or maybe not since the first ever Dark Knight Rises trailer is also supposed to be attached to that film. Let’s be honest, Batman is probably all that anyone’s going to be talking about. So before that caped crusader fellow steals all the thunder from Mycroft’s smartest brother, here’s a look at two posters for the Holmes sequel, titled Sherlock Holmes: A Game of Shadows. Yeah, that’s a pretty sweet title. Take special note of the figures in the background of each advertisement. In the Watson poster, that’s Noomi Rapace in the background as a sort of gypsy character. In the Holmes poster that’s Jared Harris as perhaps the most infamous villain in all of literature, Professor Moriarty, looming behind Sherlock. It’s kind of surprising that they’re actually putting him on the poster, after all the trouble the first movie went through to hide his face from the audience. 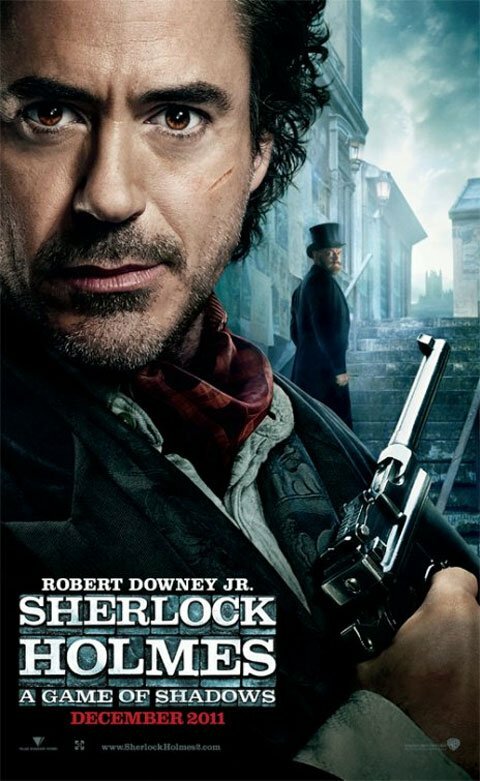 The second Sherlock Holmes arrives with Robert Downey and Jude Law in tow on December 16.